HomeBlogUncategorizedWhat is an Appeal Bond? Have you recently lost your case in a civil or lower court? Think it was unjust? If the court ordered that you have to pay the winning side a fine, don’t hand over that cash just yet. You can still appeal your case! In order to go through the appeals process, you must first post an appeals bond. 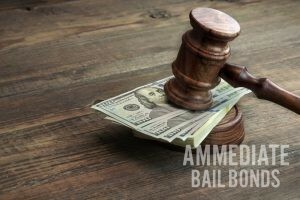 If you are looking to post an appeal bond in Florida, call (321) 631-2663 for assistance from Ammediate Bail Bonds in Brevard CountyCocoa and Palm Bay, FL. If You Need Help With An Appeal Bond in Florida, Call Us Today! If you have lost a trial and want it to be reviewed again, you request that it gets sent to the appeals court. You have to post an appeal bond that states that you acknowledge that you lost the previous trial. Should you lose the appeal trial, you will pay or undergo the original judgement that was given to you in the first trial. Be mindful that if you do not have money to post for the appeal bond, the plaintiff can seize your property like a bail bondsman would for payment. Florida has strict appeal bond regulations if you are looking to use this bond money for bail. The law states that an appeal bond cannot be used to post bail for a convicted felon. You have the option to appeal bond in Florida if a trial court has denied bail just previously to you. You cannot post the same amount of bail you did previously, and a new amount must be given. If you think you are going to lose again after you have already requested an appeal, you can’t cancel it. It can only be discharged by the court after the appeals court renders a decision. Make sure you are certain you can win before betting your livelihood on this case! If you lose the appeals case, you will have to wait years and pay before being able to re-apply to the appeals court again. Dealing with the law and justice system is complicated and confusing. Contact our experts who can help you with appeal bond in Florida courts and make your process a little easier. If you need appeal bond assistance in Brevard CountyCocoa and Palm Bay, FL, call Ammediate Bail Bonds at (321) 631-2663 today. Posted in Uncategorized on July 24, 2018 at 4:44 pm by Ammediate Bail Bonds.